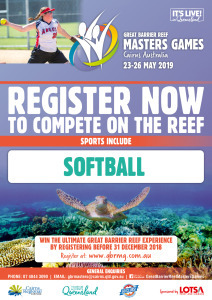 The fourth biennial Great Barrier Reef Masters Games will be held from Thursday 23 May - Sunday 26 May 2019 in Cairns, Queensland - one of Australia’s most popular holiday destinations. 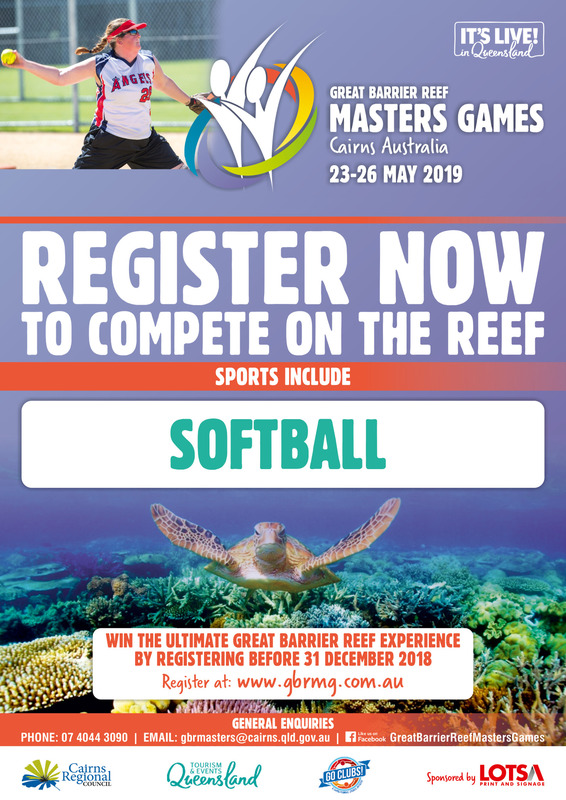 2,000 masters-aged men and women from Australia, Oceania and South East Asia are anticipated to compete in over 20 individual and team sports across the four days of competition with sports for all masters ages and interests. The highly anticipated social program will again be held over three fantastic nights at a location in the CBD - details to come! Minimum age for competition is 35 years. Age is determined as at 31 December 2019 by the youngest player in the team. Games Registration Fee: $68 per person (super early bird and early bird pricing) in addition to sport fee. If you are a player in need of a team, please select the team named "I need a Softball team - Div (select appropriate division)" and use PIN 1234. The sport convenor will then allocate you to a team. Participants are not permitted to wear metal cleats. Each team is required to provide an accredited umpire. The female teams will be 35-44 division A and B. 45+ will be division C (every member of your team is required to be aged 45+). The men 35+ will not be graded. While not compulsory, shirt numbers are preferred. Numbers can appear on either the sleeve or the back of playing shirts. Close of entry date will be strictly adhered to due to limitation of team numbers. The draw will be available on the Games website one week prior to the start of the Games. Participants will receive a full draw upon registration at the Games Check-In Centre. 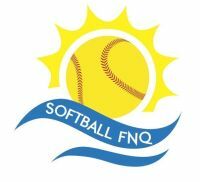 Competition will be conducted under the official Softball Australia rules and Softball FNQ ground rules. The competition is presented by Softball FNQ. Registrations are NOW OPEN for sports participants, non-playing officials and supporters.